Tiffany Keller and Meredith Willits – represented Nebraska at the eighth national breastfeeding coalitions conference. Very packed conference with great info. Dr. Jan Murray-Garcia, UC-Davis, spoke on cultural humility and redefining race and culture and how to get people involved. She kept the ball rolling all weekend – change the script. We’re preprogramed to make judgments about people, but don’t. Change the script. Dr. Ruth Peterson, CDC, talked about what they’re doing and strategize Healthy People 2030 goals and we’re on track or meeting the 2020 goals. The audience was worried about the current administration and she felt that we’d still be able to move forward. Black Mommas Matter, Reaching our Sisters Everywhere – reproductive justice in breastfeeding and black mommas. Tribal trailblazers spoke. Someone from Puerto Rico spoke on how to help moms after losing everything. New Mexico talked about supporting inmates and what they’re doing to overcome challenges. Brenda Bandy spoke on different ways to diversify our funding. Appalachia created a multi-state coalition to help really rural women. Kimberly Sears-Allers is a “lactavist” – journalist with love for lactation. Focus on being strong through the negativity. They were so excited by how diverse the room was – skin color, roles, experience, etc. It was very powerful. How do we support breastfeeding through racial, ethnic, cultural lenses? Elkhorn Logan Valley – promote education and breastfeeding support in the workplace that they visit. They’re going to hand out signs for their lactation rooms, hand out breastfeeding is welcome here signs, the business case for breastfeeding that shows great facts for the employers. They will also be encouraging business to put a policy in place if they don’t have one. They are going to do two trainings between now and next spring. One is for the UNMC College of nursing students and a lunch and learn for practicing clinicians. Fremont Health – also focusing on workplace support. They’ve already reached out a pre-survey to businesses from their chamber of commerce. They will use the business case for breastfeeding information to distribute. They will also encourage them to apply for the breastfeeding friendly business award through NE BFC when they’re ready. They do a breastfeeding fair in the spring and they plan to use a portion of their booth to highlight the businesses who have become breastfeeding friendly. They’ll have a magazine made and it will highlight those employers as well. Santee Sioux – Just finished their breastfeeding booth to get the word out about their coalition from their fair. They have two trainings scheduled. The first one is for clinic staff and tribal presenters – bringing back the tradition of breastfeeding to their tribe. They are also going to work on baby friendly in the workplace and be sure the have a room for moms. In October they will have a training for clients on the benefits of breastfeeding. Other parenting class speakers are coming in the spring, touching on the cultural part of bringing back breastfeeding. Sarpy/Cass County Health – targeting Cass County for their project. They will meet with Douglas and Sarpy to find referrals for Cass county moms. They are looking into a text messaging pilot program to start that to help these moms. Hoping to increase the breastfeeding rate in that county. Hoping this service will help them communicate in ways they are most comfortable in addition to their existing prenatal trainings. Southeast District Health Department – just had a mommy and baby fair this past Saturday around the global latch on. They had 15 moms and babies breastfeeding during the latch on and had positive feedback. Local vendors were there as well. They’ve been working on fundraising for their coalition – one way has been creating t-shirts. They have a mom and baby tent to help moms comfortably nurse and get their name out. They’ve started a new support group in Auburn as well. Kearney – they had a breastfeeding booth at the Buffalo county fair. They couldn’t track how many people used it, but they did have a few vendors used it to pump several times a day. For World Breastfeeding Week they featured one of their members from their leadership team and shared their pictures. It was helpful for them to get to know who is helping them and talking to them. They have 6 businesses in town that have breastfeeding rooms and they decided to honor them with window decals with their logo and presented them with an award and featured them on their Facebook page. They did the big latch on and had 6 people there at the breastfeeding room at the mall. Filmore – the Really? Really. (R?R.) materials they handed out went over really well. An OB/GYN from Beatrice has talked to several patients after getting the material. They’re still working with other doctors on how to utilize it and getting back to the building blocks of breastfeeding. They’re also using R?R. as grassroots to effect change with moms in the community. The hospital has opened the door for an outpatient breastfeeding clinic. Sidney – a few nurses who are breastfeeding moms and Sidney Regional are starting a monthly breastfeeding support group. They are slowly growing. They started a local Facebook page that is unaffiliated with the hospital. Lincoln – MilkWorks is going to host another Community Breastfeeding Educator course this fall supporting culturally diverse moms. They are still working on their video series and hope to be done in October. Both WIC groups in Lincoln are looking at their data and hoping to work with the Lincoln CBI to set goals on how to support moms as a community. They also are writing for another CDC grant and hope to hear soon. WIC is also partnering with MilkWorks and offering moms a chance to get breast pumps on the north side of Lincoln. Crete – Mommy to mommy breastfeeding support group is meeting the second Tuesday of every month. They created Welcome Baby bags that will be donated to the hospitals and given to new moms. The bags have breastfeeding materials. There are two breastfeeding counselors in her program and they’ll include a coupon for a 1-1 consultation with them. They’re hoping to get breastfeeding rooms at the high school. Grand Island – Revamped and started offering breastfeeding classes through CDHD WIC. They offer them in English and Spanish and they’re really starting to take off. They hosted a breastfeeding event at the mall and they had baskets and raffles. Local IBCLC at St. Francis joined them and they’re hoping to collaborate more with her. GO NAPSACC – (Nutritional and physical activity self assessment for childhood centers) Works closely with the department of Ed and food programs to help train them with a new form. It’s part of their step up to quality rating system and many of them are doing the step up and the nutrition. Emily went to train someone in North Platte and saw a variety of providers. She got an email that night saying that an in home provider was going to work with a mom to help her not wean before returning to work and keep pumping. Now that the mom is educated she feels that she can keep pumping and breastfeeding! AAP milk storage guidelines have been updated, and CDC has also been updated. NE BFC wants to look into a letter campaign to support a change in milk storage guidelines. We are finished with our DHHS Year 5 grant. At this time we’ve requested about all of the $30,000 from our grant. At this time, we do not know if DHHS will receive the new grant but will update you as to our involvement if that is the case. We received $10,000 from CHI Health to do another round of CBI Funding and those awards will go out this month. We are awaiting $10,000 from Children’s Center for the Child and Community to host a CBI Summit this fall. Stats: We’ve had almost 1,067 visits to our site since our last meeting (May-Jul). This is up from the previous quarter. 2,455 “Likes” on Facebook, up 38 since our last meeting! 457 Twitter followers, a 2% increase from last quarter. It has been one year since we began our membership drive. As of right now, we’ve had 271 new and renewing members. If you haven’t done so yet, please do! Thank you to our Funding Partners: CHI Health, MilkWorks, Children’s Center for the Child & Community, Nebraska DHHS. We are always looking for more funding or breastfeeding friendly partners! CBI Summit will take place October 16th. It will be held in York as the most central location for all the CBIs at Holthus Convention Center. An agenda has been outlined. It will include IBCLC in York talking about putting policies in place and what benefits they have in place. Hoping Peggy Brown from NPQIC will talk about maternity care practices. Hope to have Danielle Conrad from ACLU on Know Your Rights and Returning to Work and School. Tiffany Keller will be doing some Really? Really. education and may be able to get a physician’s office to present on their experience using the materials and what successes they’ve had. LLL of NE will present on their support groups, as well as their successes and challenges. Rachel Sazama will have a Peer Counselor present along the same topic. Would like to have Amy Potratz talk about the Super Mom and have a York Super Mom highlighted. Nicole Osborne will present on Employer Education in the workplace. Hoping to have a networking and coalition building breakout in the afternoon. Our strategic plan revolves around 5 priorities and will wrap up this year. At our November meeting we will launch into strategic planning with the membership. Everyone is invited to attend this meeting and give input on shaping the future of the coalition. We’d love to have you there! We are collectively very passionate people and the plan helps us keep focused. Our DHHS grant has ended and we’re unaware if they will receive the award again and to what capacity we would be apart of if they are to receive it. 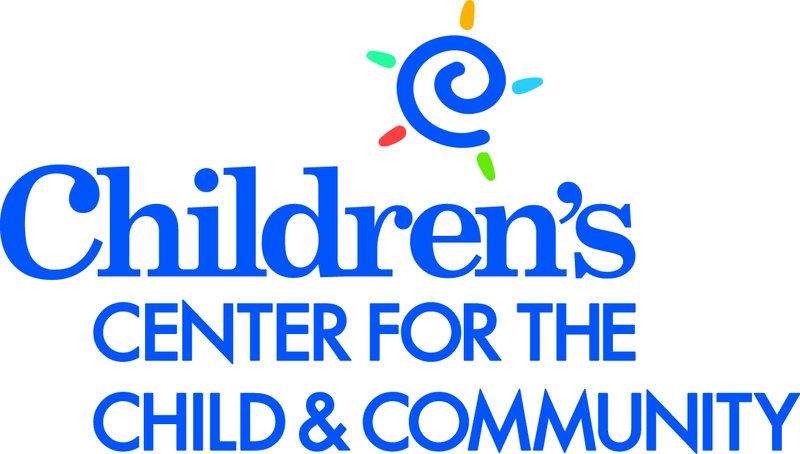 To help sustain us, we want to further connections with organizations – CHI and Children’s are already helping support the coalition. We are really looking at having other organizations come with $500, $1,000 or $5,000 to help continue our funding and keep the work we’re doing moving forward. We continue to explore other opportunities for fiscal agencies, now that MilkWorks will no longer serve in this capacity. We are exploring partnering with Nebraska Perinatal Quality Improvement Collaborative (NPQIC) and what the affiliation would look like. Children’s Hospital had another journal club. Melissa St. Germaine spoke on the evidence of marijuana use during pregnancy and breastfeeding. Her stance is that we shouldn’t be making moms feel bad and give them a safe space so they can come forward. We want to be sure they know of the affects that the chemicals in marijuana would have on their babies, long term. It’s important to not look at this in a judgmental angle and really support moms. The next one is in October 24th. They offer CEUs and CERPs. Douglas County Breastfeeding Coalition has been around for almost a year. Their mission and vision is establish and have eight priority areas. They want to build capacity around 101 support (for CBEs, CLCs, IBCLCs). They are doing strategic planning with their core teams. They have trained CBE’s and want to help build the infrastructure around them and get them referrals. In South Omaha they have a baby café staffed twice a week. CBI Summit Planning to take place October 16th. It will be held in York as the most central location for all the CBIs. An agenda has been outlined. It will include IBCLC in York talking about putting policies in place and what benefits they have in place. Hoping Peggy Brown from NPQIC will talk about maternity care practices. Hope to have Danielle Conrad from ACLU on Know Your Rights and Returning to Work and School. Tiffany Keller will be doing some Really? Really. education and may be able to get a physician’s office to present on their experience using the materials and what successes they’ve had. LLL of NE will present on their support groups, as well as their successes and challenges. Rachel Sazama will have a Peer Counselor present along the same topic. Would like to have Amy Potratz talk about the Super Mom and have a York Super Mom highlighted. Nicole Osborne will present on Employer Education in the workplace. Hoping to have a networking and coalition building breakout in the afternoon. Healthy Behaviors of breastfeeding mom and there are a lot of theories around what moms should and shouldn’t do around physical activity while breastfeeding. They’ve surveyed moms, interviewed 50 of them, and now are surveying providers. No one knows whose job it is to debunk myths about exercise reducing milk supply. She’s working on a publication to help inform moms. Waiting to hear on an NIH grant to help give more sustainable funding to the NE BFC. Thanks to Kailey Snyder for being the primary author on this! Join us on November 6, 2018 at Methodist Women's Hospital in Omaha at 10 AM.